1 edition of The life of Merlin found in the catalog. Add another edition? Are you sure you want to remove The life of Merlin from your list? 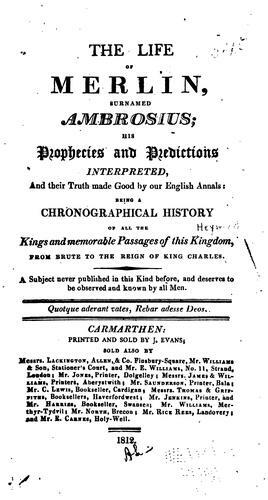 surnamed Ambrosius; his prophecies and predictions interpreted, and their truth made good by our English annals: being a chronographical history of all the kings and memorable passages of this kingdom, from Brute to the reign of King Charles. 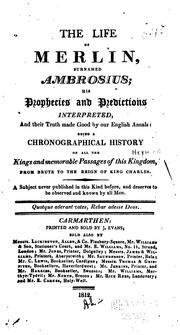 Published 1813 by Lackington, Allen, and co. in London . Preface, "To the reader," signed: Thomas Heywood.